The Hydro’s external lights were switched on last night: shades of blue, green and purple beamed from the new venue last night as final preparations were being made for the opening night. Rod Stewart will open Glasgow’s £125m arena building designed by Foster + Partners, on the 30th September 2013, and play for 4 nights – the building now has the all clear for public occupation. 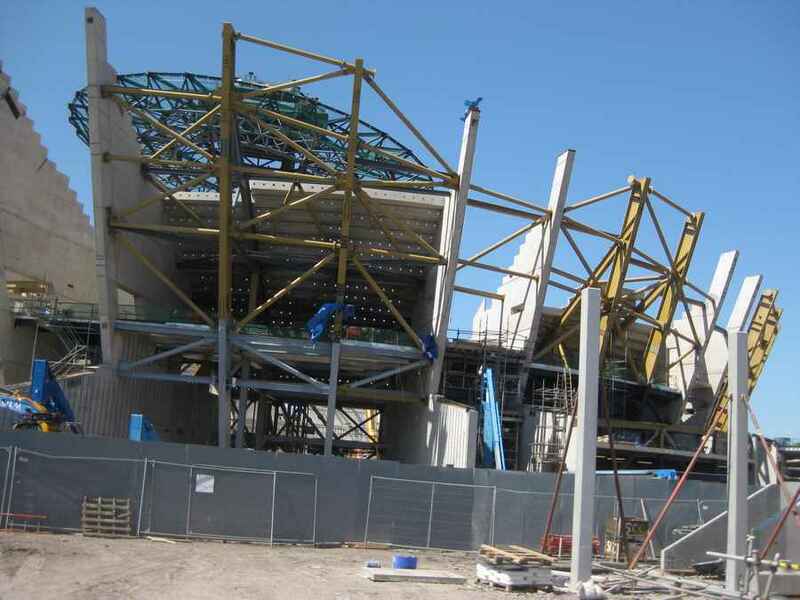 The SSE Hydro will be one of the city’s venues for the Glasgow 2014 Commonwealth Games, the base for artistic gymnastics, rhythmic gymnastics and the boxing finals. 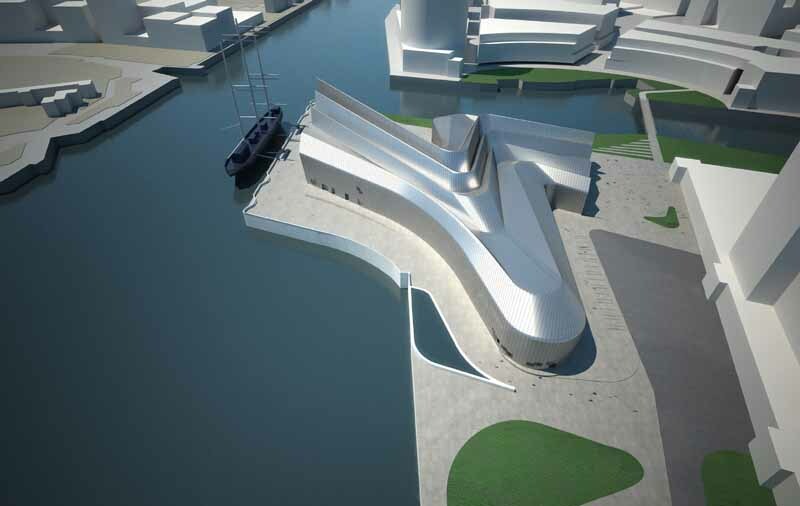 It is estimated the new venue will host around 140 events every year. 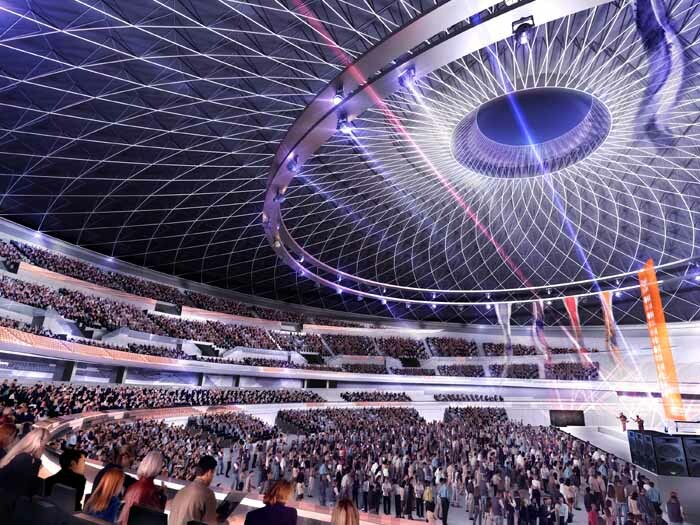 The current economic impact of the SECC is £397m a year and the SSE Hydro has the potential to inject an additional £131m a year into the local economy. We hope to post some photos of the completed building at the weekend. Layers of inflated ‘foil pillow’ external cladding are now being applied to the building. The foil pillows allow natural light to illuminate the venue during the day but at night images can be projected onto the surface and LED lights will make it ‘shimmer’ in 12.8million different colours. 34 years since his last No.1 album, Scottish rocker Rod Stewart has taken the top spot with his highly-acclaimed LP ‘Time’ – making this his 15th No.1 record. And to meet demand to hear the album live, he will play a 5 date UK arena tour beginning this September. As part of the tour, Rod will play the ultimate homecoming gig. The global superstar will open Glasgow’s £125 million arena The Hydro this September as part of his Time Tour. Rod will cap his most exciting tour in over two decades underneath The Hydro’s silver dome on the 30th September 2013. Tickets go on sale at 9am on Friday 24th May through www.aeglive.co.uk. 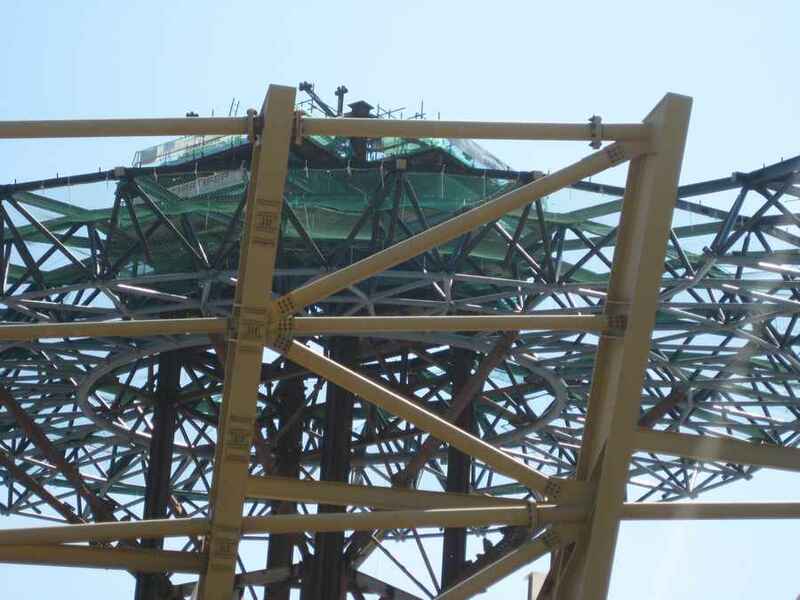 Rod commented: “I have been looking forward to this as I’ve watched The Hydro take shape. 2013 is a momentous year for me. I cannot wait to get back to Scotland and perform in front of a live audience at this spectacular venue.” It coincides with his first album – ‘Time’ – of original material in two decades. Scotland’s biggest rock export Rod Stewart is the perfect opening act for “The Hydro”, Scotland’s new home of live entertainment. Built on the site of the former Queens’s Dock with a seating capacity of 12,000 and an audience of 1 million visitors each year, The Hydro aims to be one of the top 5 busiest indoor music arenas in the world alongside such iconic venues as Madison Square Gardens and The O2. Following sensational demand, it has been confirmed that Rod Stewart will play a second night at The Hydro in Glasgow as part of the Time tour. Rod will now play two spectacular homecoming shows at Glasgow’s £125 million arena The Hydro this September and October. Rod will cap his most exciting tour in over two decades underneath The Hydro’s silver dome on the 30th September and 2nd October 2013. 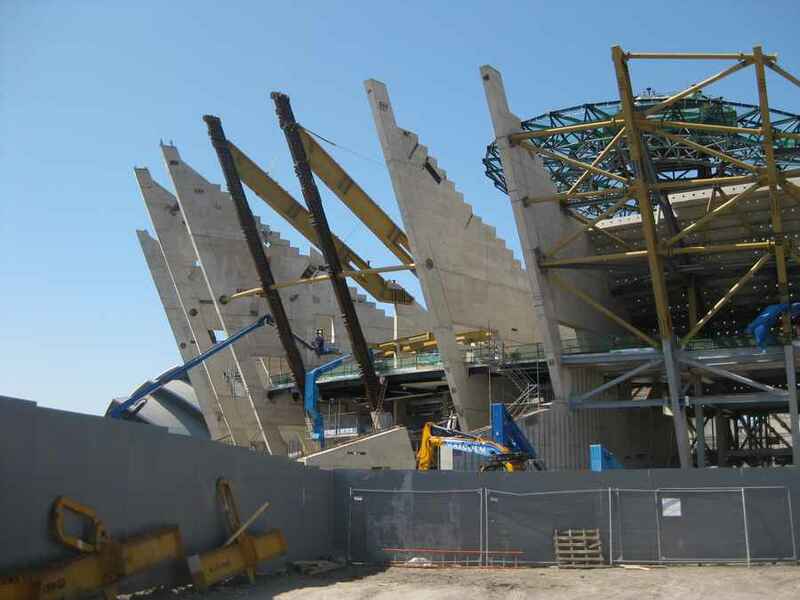 When complete, the venue will form part of the Scottish Exhibition and Conference Centre (SECC) complex, along with the Clyde Auditorium (Armadillo). 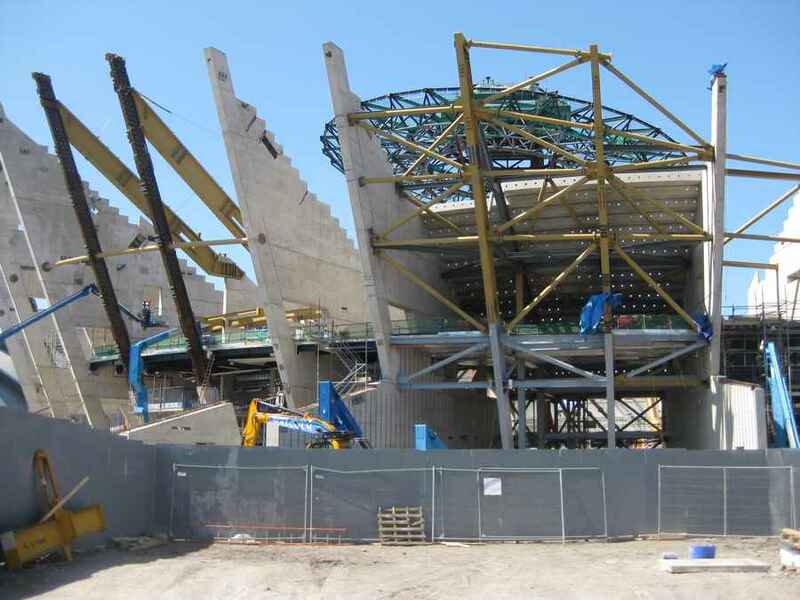 It is hoped that when The Hydro opens in September 2013 it will contribute £131m annually to the Scottish economy. 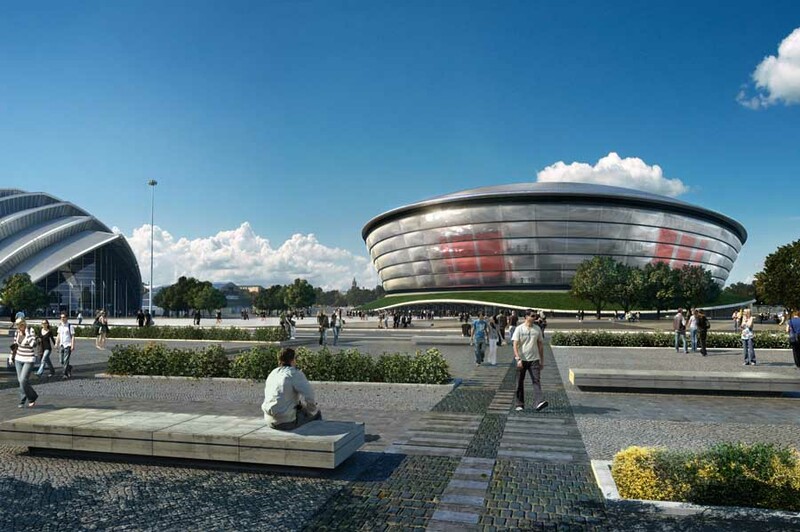 The Hydro is expected to attract one million visitors each year to about 140 music, entertainment and sporting events. Its name derives from energy firm Scottish Hydro, which is sponsoring the venue in a 10-year deal worth about £1.5m annually. 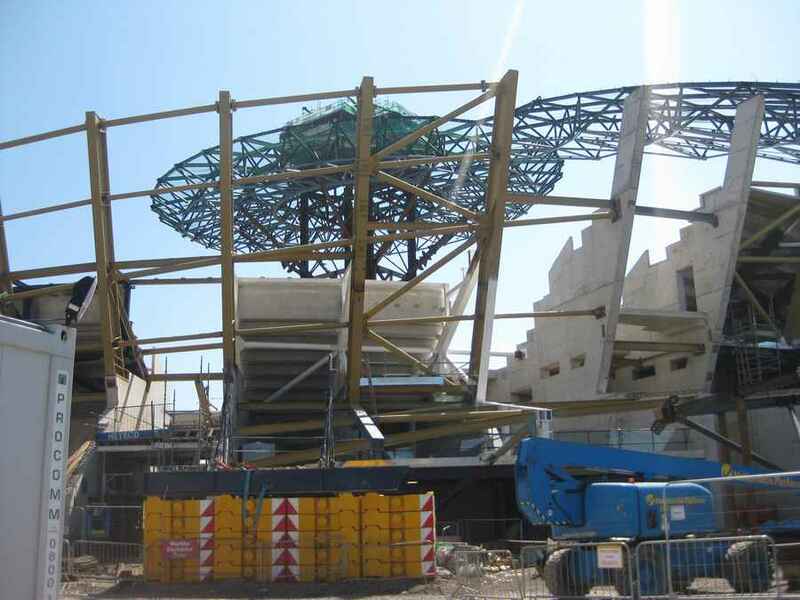 The main structure of Glasgow’s newest entertainment venue has been completed after more than one million work hours. 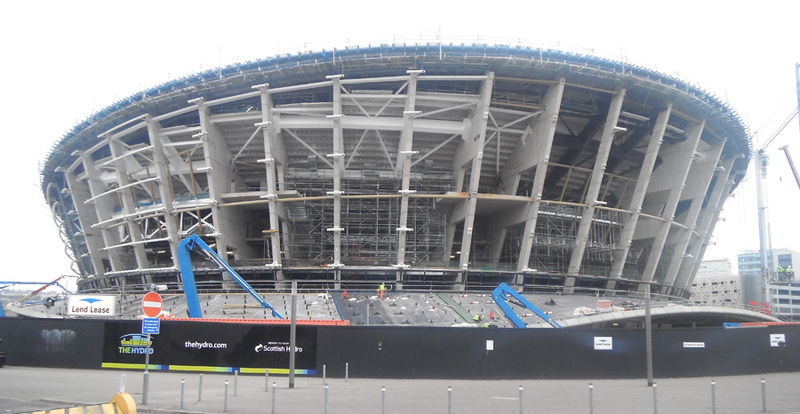 Engineers secured the last roof bolt on the 12,000-seater arena, named The Hydro, on Tuesday morning. 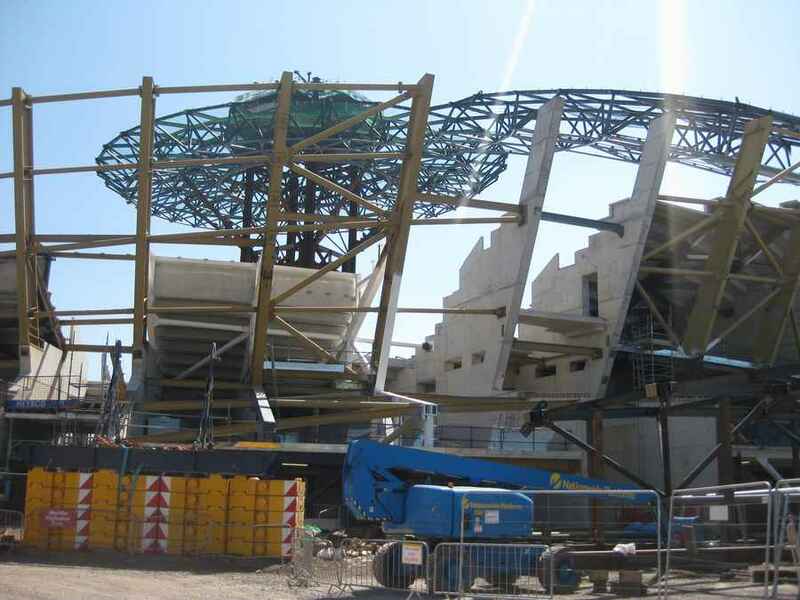 The initial construction phase of the arena, designed by Foster and Partners, was completed by property and infrastructure firm Lend Lease. 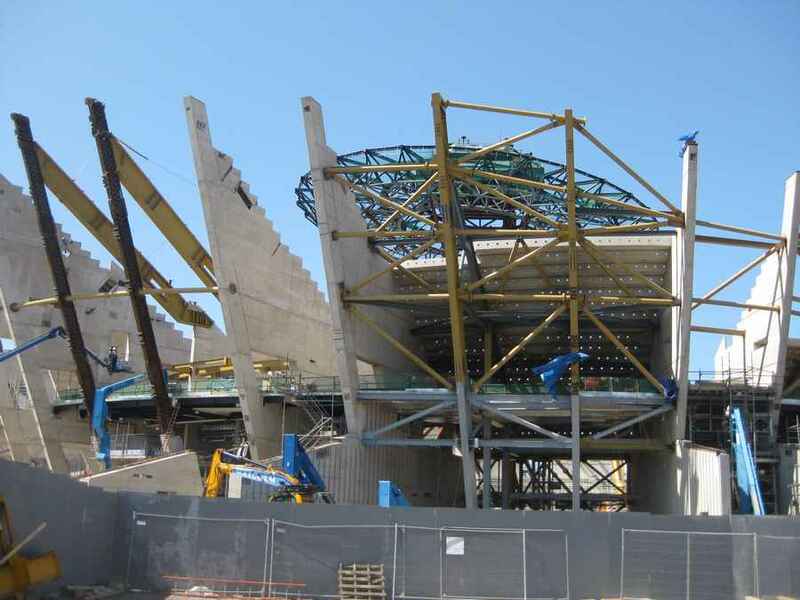 Following the traditional “topping out” ceremony on Tuesday, Glasgow City Council leader Gordon Matheson said The Hydro would take Glasgow’s global appeal for entertainment events “to an even higher level”. World-class corporate events increasingly demand venues that can stage presentations on an epic scale. Few facilities offer a flexible mix of spaces for conferences, exhibitions, live performances, concerts and corporate functions at every level from the intimate to the vast. The SECC Glasgow is the first venue of its kind on this scale in the UK and one of only four in Europe capable of seating more than 3,000 delegates. Visitors approach the SECC from the east, entering beneath a canopy formed by the arc of the building’s roof. From the registration area they may enter a 300-seat conference room or go up to the first-floor foyer, which connects with the auditorium and an associated network of break-out and exhibition spaces. The SECC Seating Plan is free of columns. 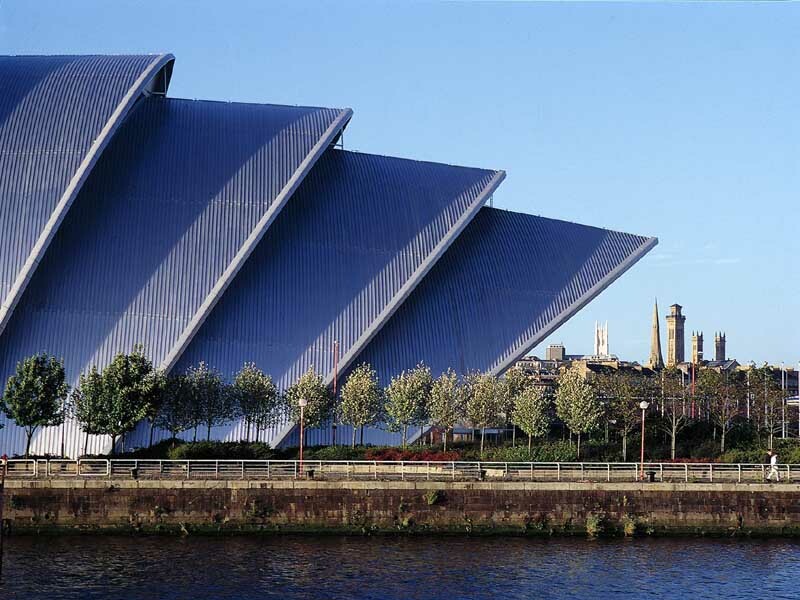 SECC Glasgow opened in 1985 with the Armadillo or Clyde Auditorium added in 1997. Glasgow is now Europe’s fastest-growing conference destination, regularly beating other cities such as Paris and London for business. 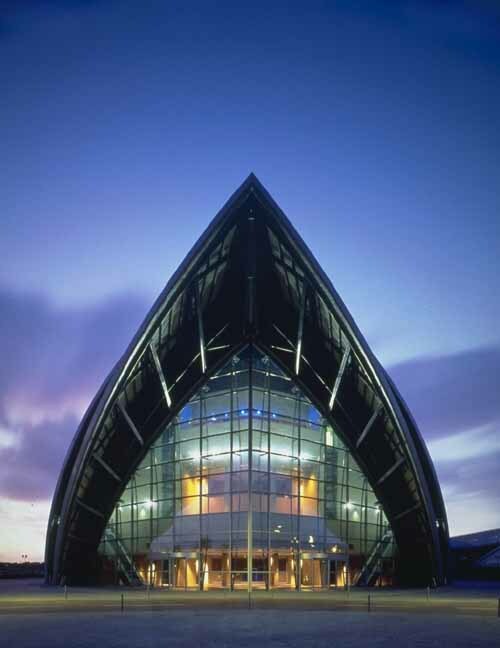 The SECC is the UK’s largest integrated conference and exhibition centre.